The composers agreed to submit an “Alfie” song if they were able to write a worthy candidate so named within a three week period. When Bacharach, resident in California, was shown a rough cut of the film Alfie the quality of the film’s depiction of a Cockney womanizer played by Michael Caine instilled in Bacharach a dedication to writing a complementary song and as Bacharach felt, in his own words, “with ‘Alfie’ the lyric had to come first because it had to say what that movie was all about”  he arranged for David, in Long Island, to receive a script of the film to facilitate writing the lyrics for an “Alfie” song. David utilized one of Michael Caine’s lines in the film: “What’s it all about,” as the opening phrase for the song’s lyrics which when completed were set to music by Bacharach. Cilla Black recorded the song first, in a fall 1965 session at Studio One, Abbey Road Studios, in London. The recording was arranged and conducted by Burt Bacharach, and produced by George Martin. The single was released in the UK 25 March 1966 (four days prior to the film’s UK release) and peaked at #9 in May. Released in July in the US, it entered the US Hot 100 chart on 27 August, but went little further, reaching only #95. Black wanted no part of the song when she received the invitation to record it first. 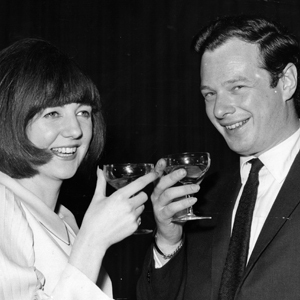 She thought Alfie was a good name for a dog, not for the subject of a serious ballad, and informed her manager Brian Epstein that she couldn’t do it for that and other reasons. However, rather than risk offending Bacharach she resorted to the ploy of making demands which she anticipated would not be met by the composer, thereby getting her off the hook. She agreed to record the song only if Bacharach himself would do the arrangement, and come to London to direct the orchestra, and play the piano on the session. To her dismay (“Now I’ve got to do the bloomin’ thing!”), he assented to each of her stipulations. Wikipedia indicates (quoting Black from an uncited source) that the special requests were made one at a time by Black, as she repeatedly attempted to ease her way diplomatically out of doing the song, with a positive reply forthcoming with each raise of the bar. 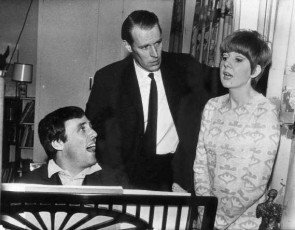 The Cilla Black recording session of Alfie is frequently cited as a prime example of Bacharach’s perfectionism in the studio. While Black has recalled 18-19 complete takes (according to Wikipedia), Bacharach gives an estimate of thirty-two takes in the retrospective clip in the first video below. I’m trying [to] juggle a range of things as the conductor. I’m trying to get the best performance from the drummer and from the bass and strings. And so I’m trying to get everyone up to the top of their game. When I call for multiple takes, it might be because just one instrument was off. Cher — released in late June 1966, nearly two months before the film’s US release, it entered the US chart on 30 July and a peaked at #32. Produced by Sonny Bono. Although Black’s version of “Alfie” had served as a promotional tool for the film’s UK release rather than as the film’s theme – being in fact featured nowhere on the soundtrack of the film’s UK release – for the US release of the film Alfie the film’s distributor United Artists wanted the song featured on the film’s soundtrack despite the objections of the film’s director Lewis Gilbert who felt the song “Alfie” would distract from the jazz score he had had Sonny Rollins provide for the film. United Artists compromised with Gilbert in keeping the prospective theme song out of the main body of the film Alfie but having it play during the closing credits. 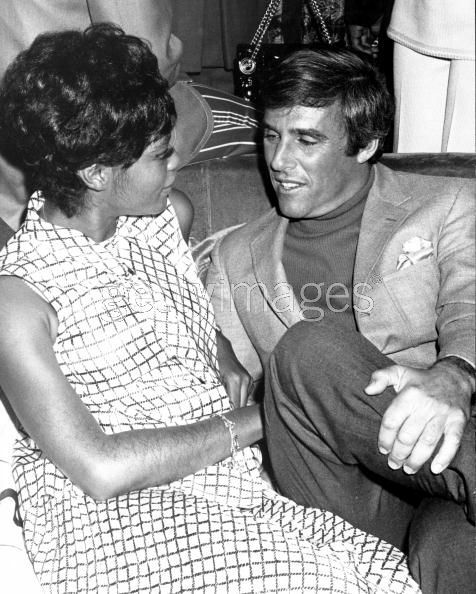 Alfie would not become a Top 30 hit in the US until the summer of 1967 when Dionne Warwick, the most prolific interpreter of Bacharach/David compositions and the composers’ original choice to cut the song, took it to #15. Introduced on the December 1966 album release Here Where There Is Love, Warwick’s version of “Alfie” had been an impromptu addition to a recording session at A&R Studio in New York City whose scheduled tracks had been completed early; Scepter Records A&R man Steve Tyrell suggested to Burt Bacharach that the booked time remaining be put to use by having Warwick record a version of Alfie. Warwick, though feeling it pointless to increase the song’s massive cover version count (there were by then some forty-two recorded versions of the song), was persuaded to record the song cutting her vocal in a single take. A very good listen . . . most enjoyable. Best wishes. Thanks, Don. Best to you and the Missuz.